PLEASE LEAVE A COMMENT BELOW: for example, Kodak Portra 400, natural light. Your vote will be extremely helpful! 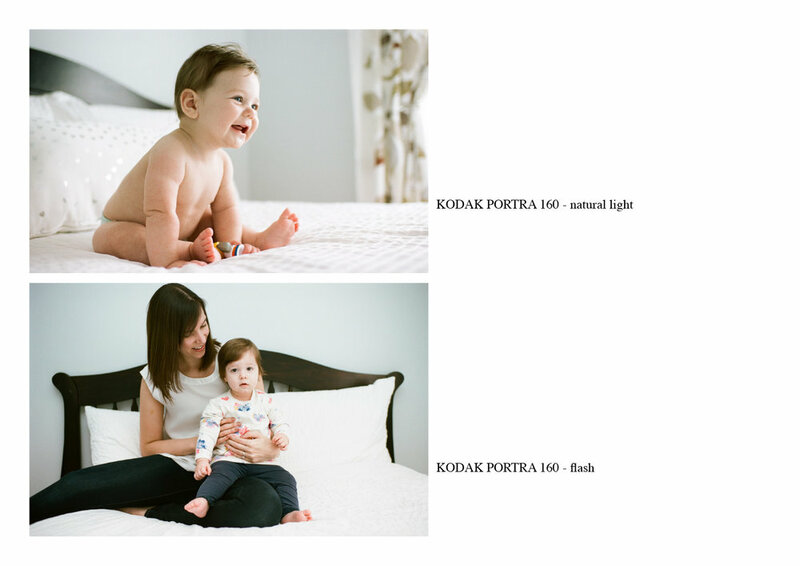 You will notice, Kodak Pro results have more warmth and red tones in the skin. Compared to Fuji Pro that has a cooler overall tone, skin is more transparent and the scene has more blues. For Black and White film stock, different manufactures have mastered their blacks, mid-tones and whites differently. I am a big fan of Ilford and Kodak for their black and white series, therefore only tested these two stocks.